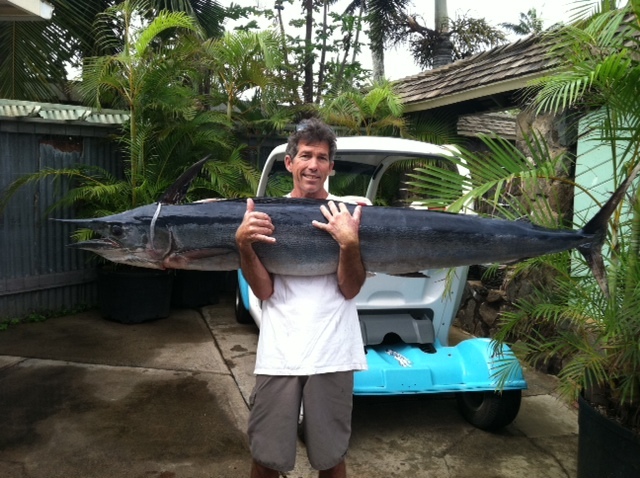 Alan Cadiz and his crew were fishing 900 fathoms of water off the North Shore of Maui when they took a hit on a lure. They battled the fish using a Shimano Tiagra 80 and 130-lb test line and were pleased to catch a huge spearfish. It wasn't until Alan weighed the huge spearfish at Mama's Fish House in Haiku that he discovered he'd beaten the state record by 2 lbs.